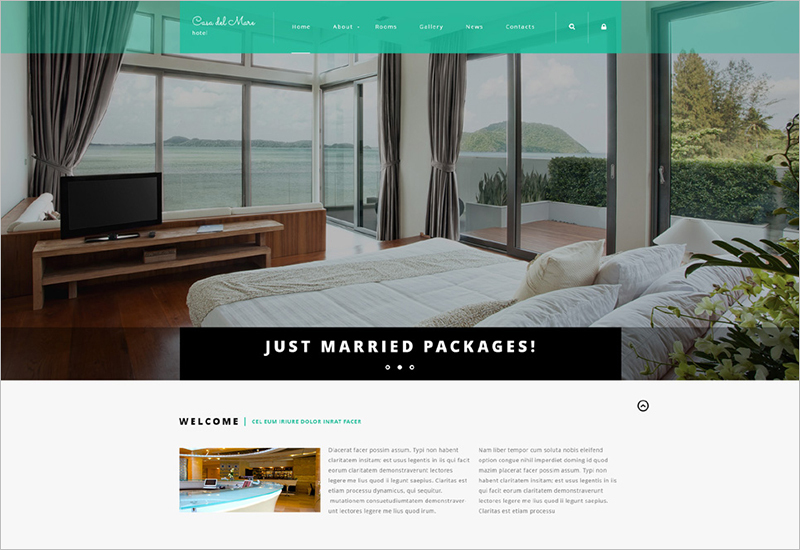 Our classy and elegant Joomla Hotel Templates can be used for hotel websites which will represent your hotel service and outlook. 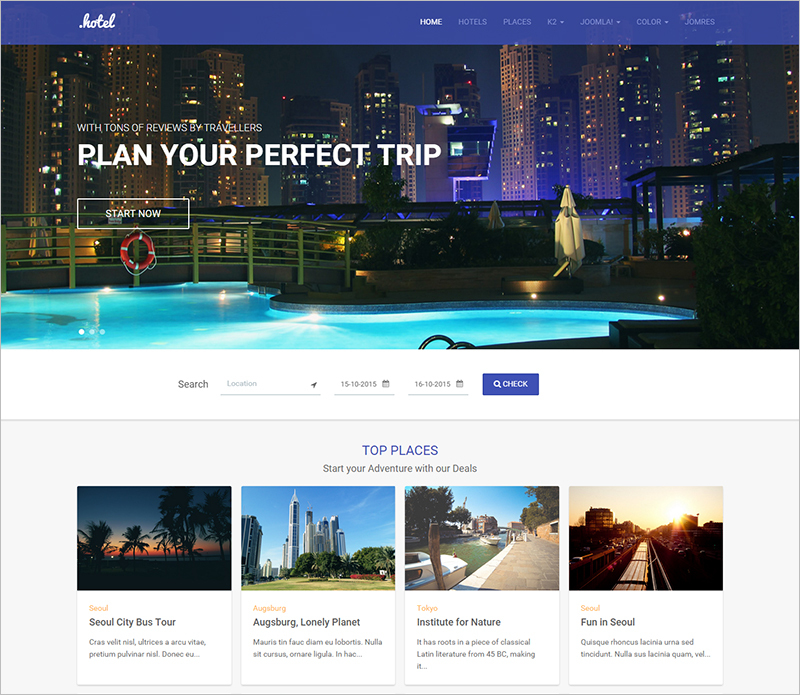 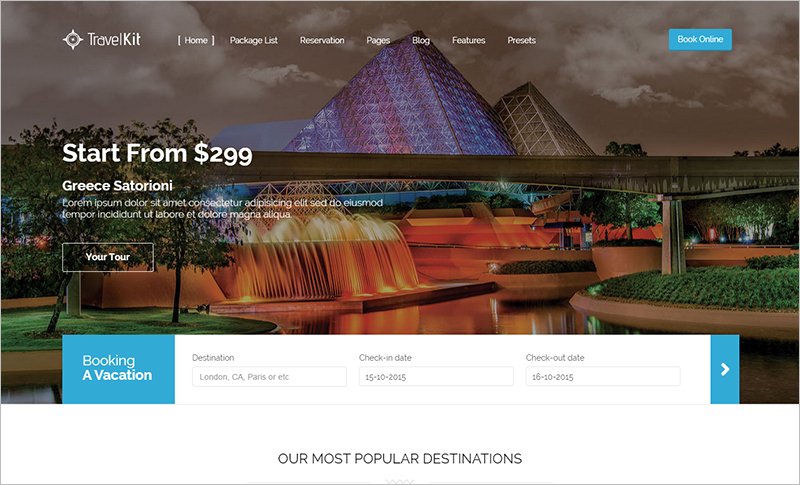 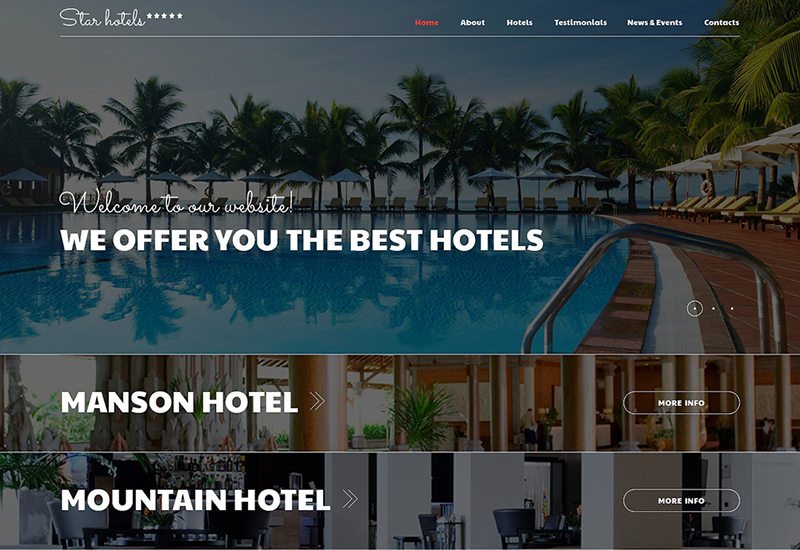 Having a great looking website with all features which show what facilities are available in your hotel would help people in choosing their vacation location to get away from the monotonous life. 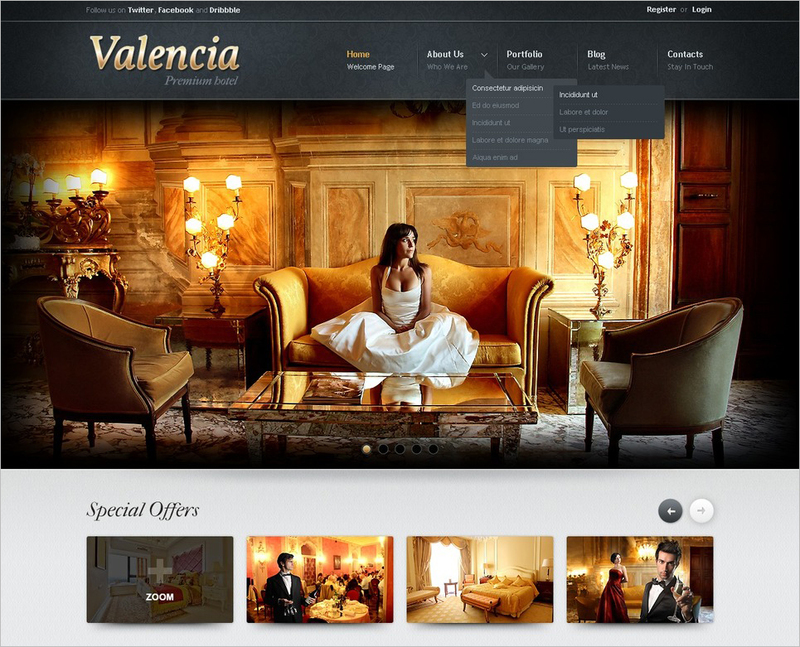 These Business Joomla themes have all the features required for any successful project. 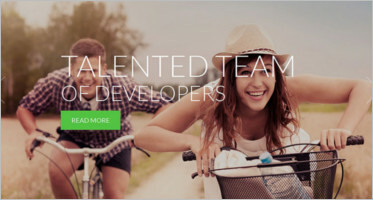 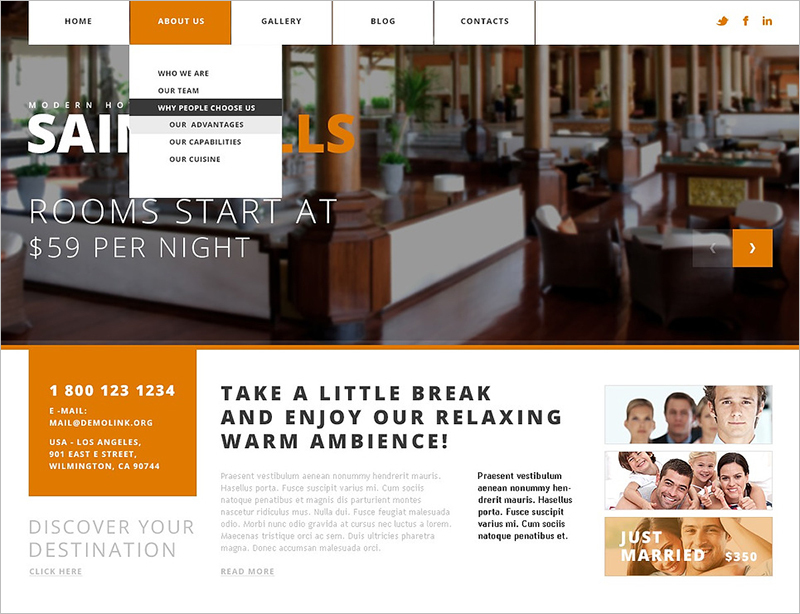 These themes will help you in building a compelling website delivering stunning performance. 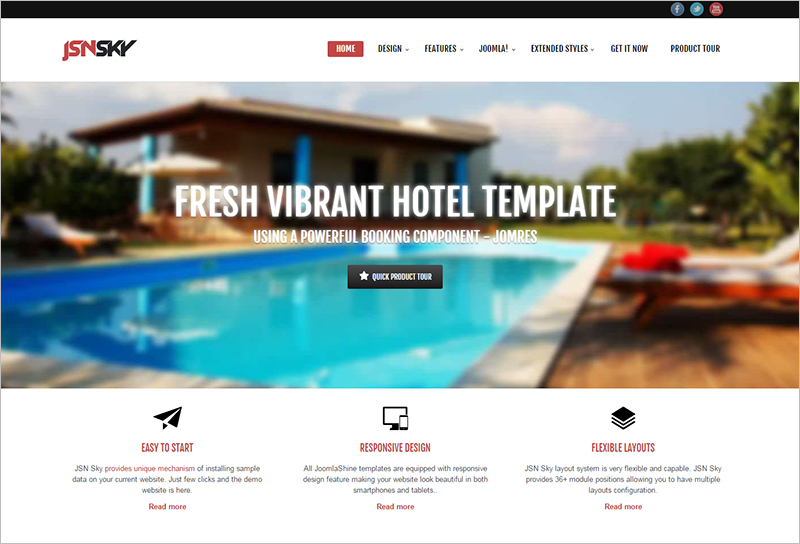 The layout is very minimal which will help you in changing the color of theme with just a couple of clicks. 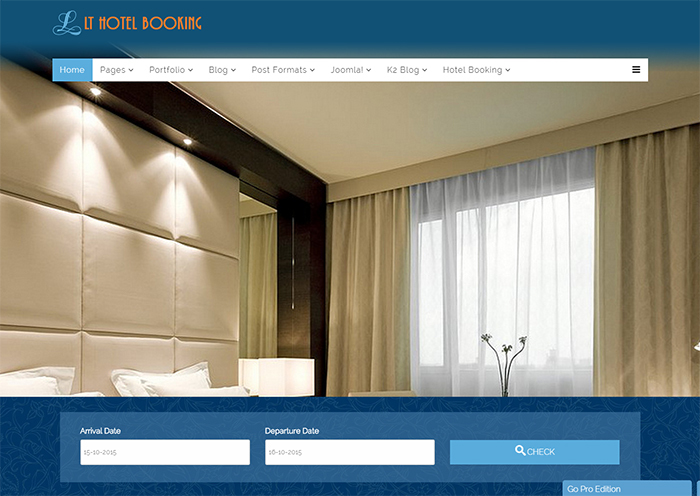 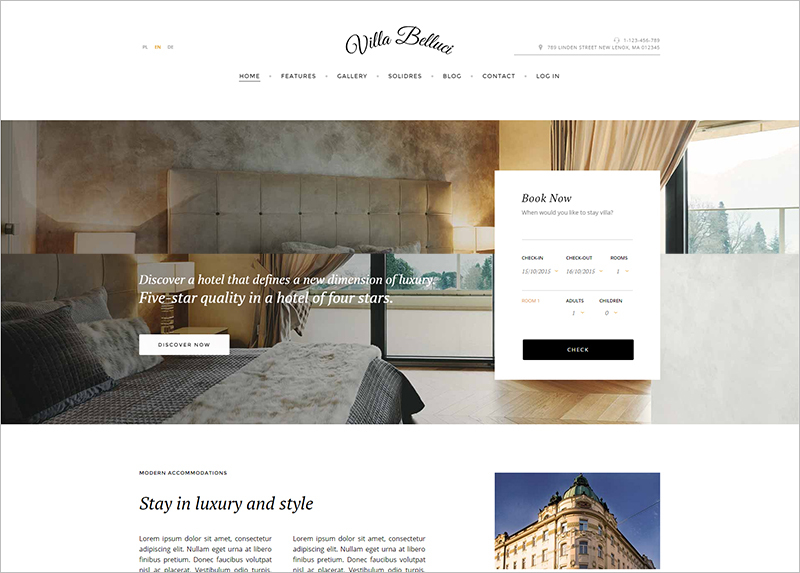 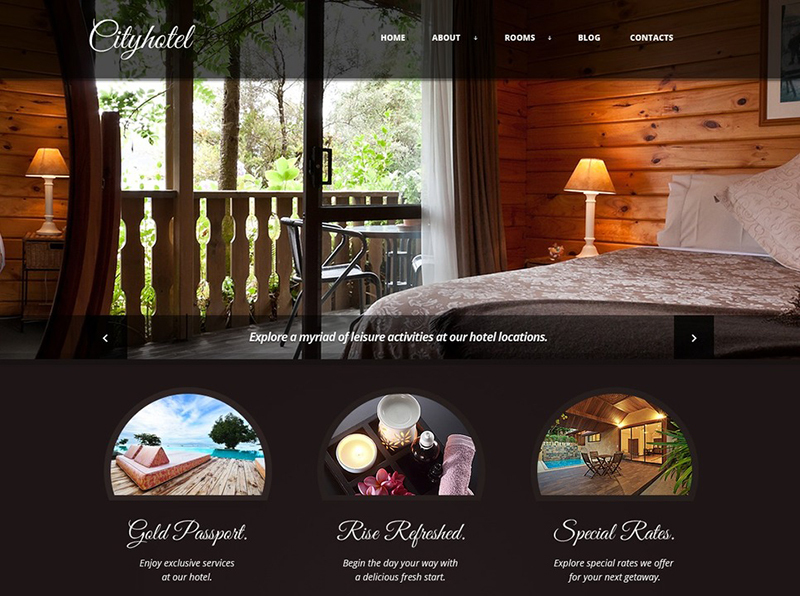 Easy customization can be done with LESS and CSS to adapt your hotel brand colours. 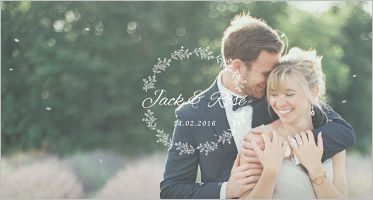 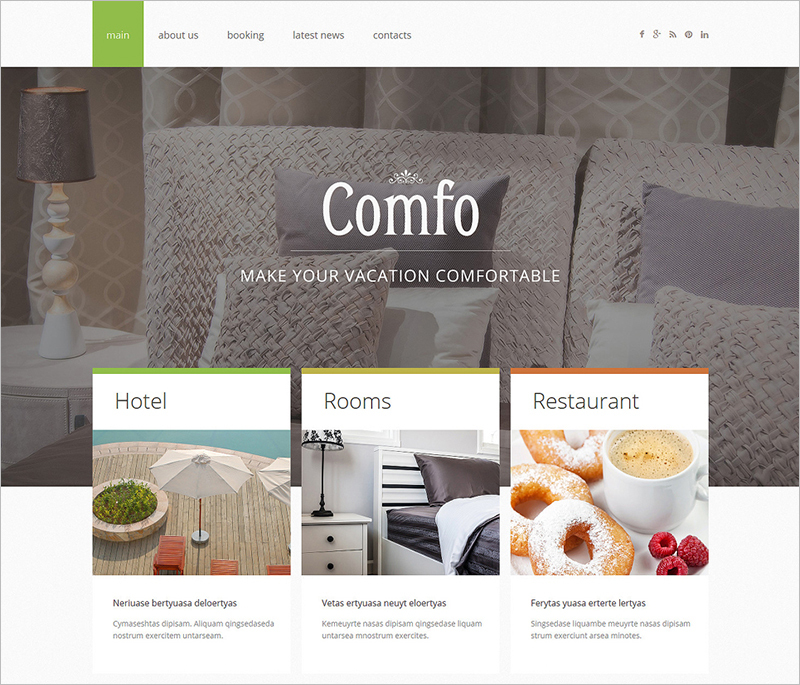 These themes also have modules like facebook share, latest tweet or Instagram feed to give your website a cool look. 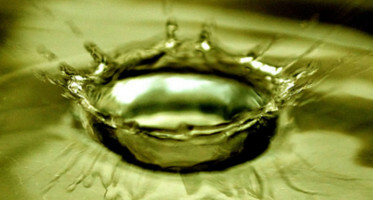 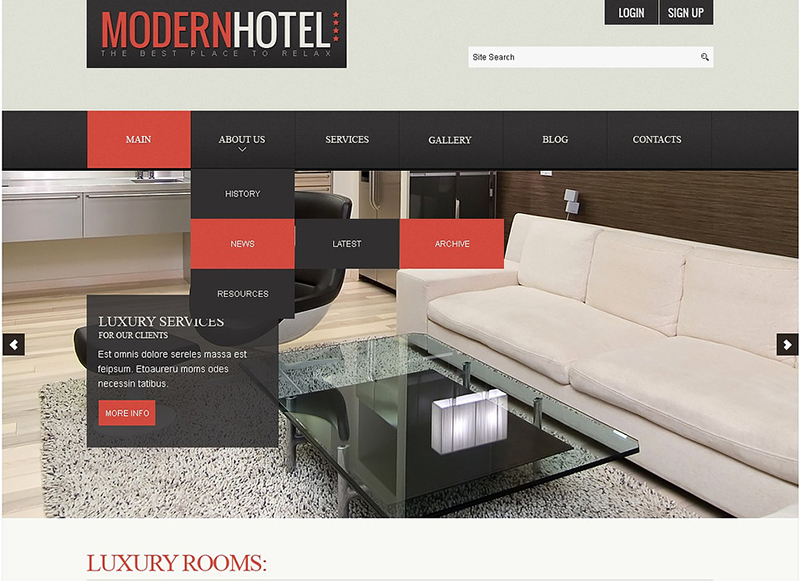 Hotel website themes have built-in file compression for faster loading speed of the website. 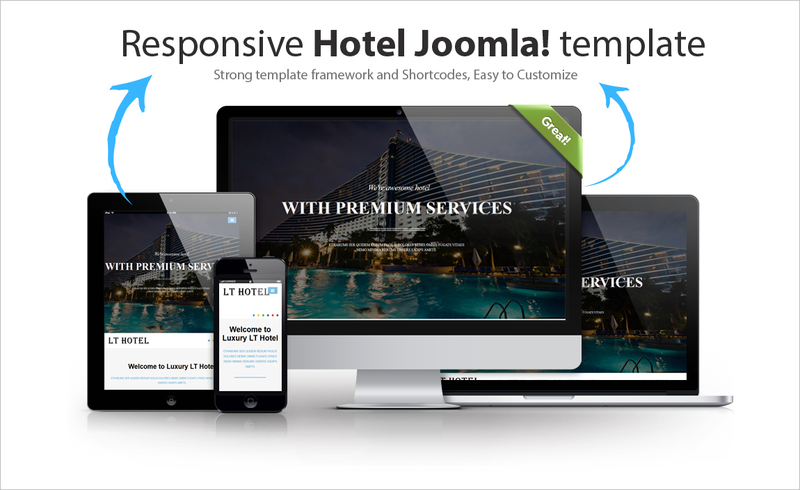 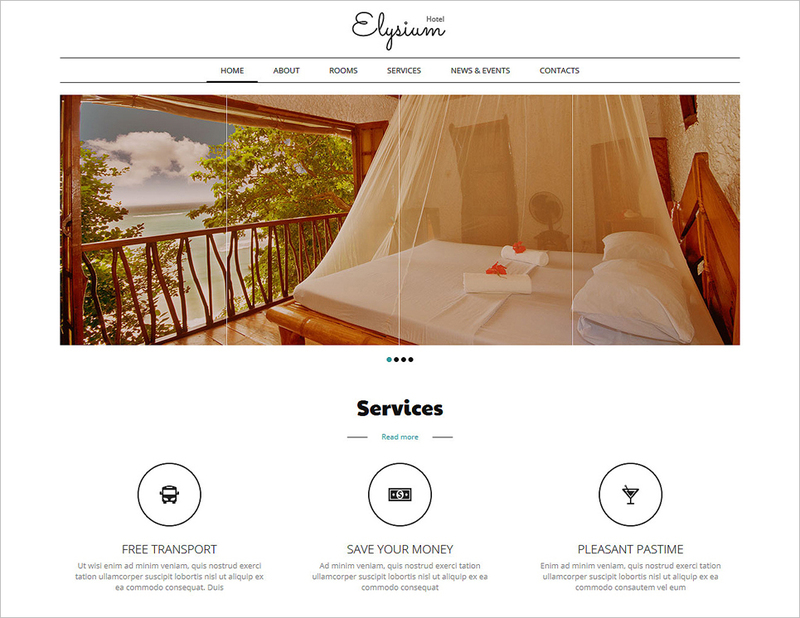 These Joomla Hotel Templates are mobile friendly and have a flexible layout. 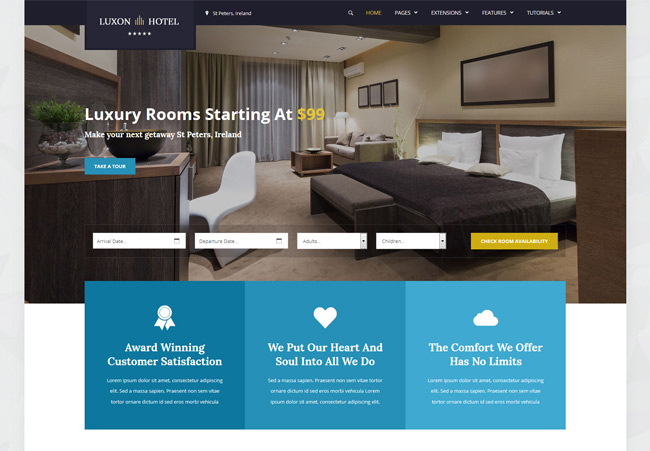 Hotel Joomla templates also have full screen slideshow on the front page which helps you in showing your comfortable rooms to your visitors. 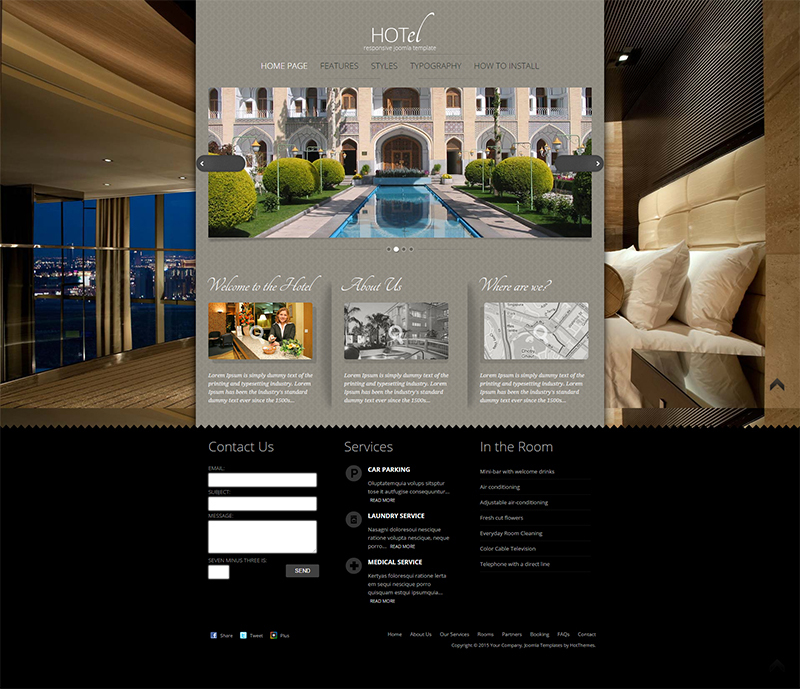 These templates have google map integration which helps a visitor to locate your hotel easily without any hassle. 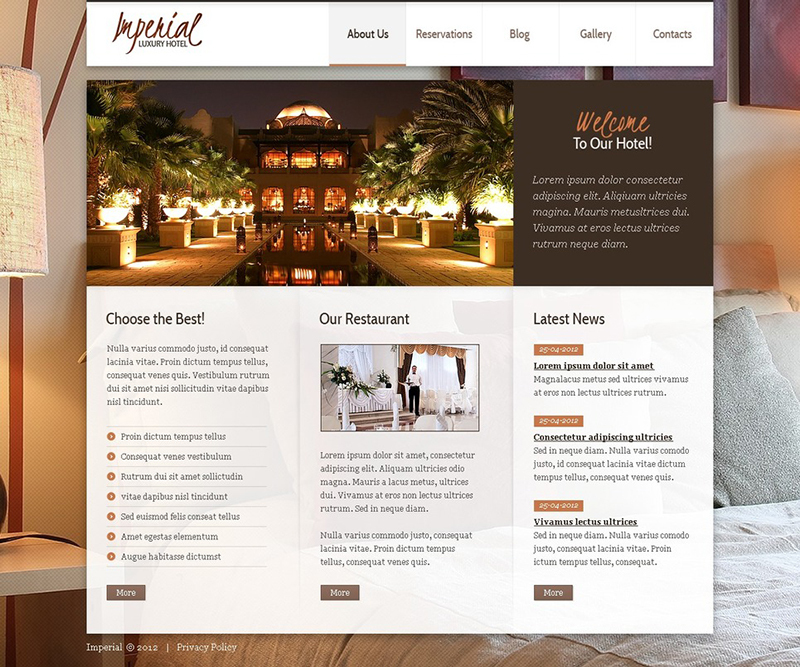 Build an impressive website to turn your visitors into paying customers by using any of our hotel Joomla templates.